Usually black but some iridecent metallic. Antennae end in three flattened fan-like segments. 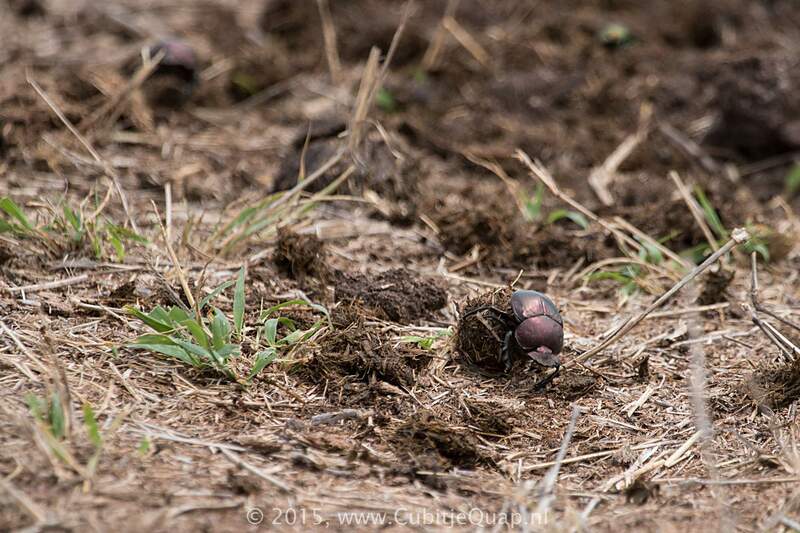 Utilizes dung as both food and nursery. 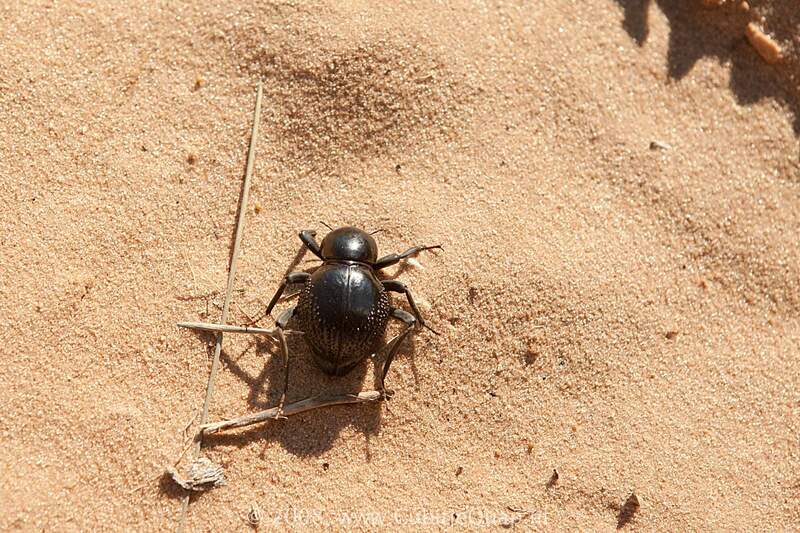 Front legs adapted for manipulating dung. 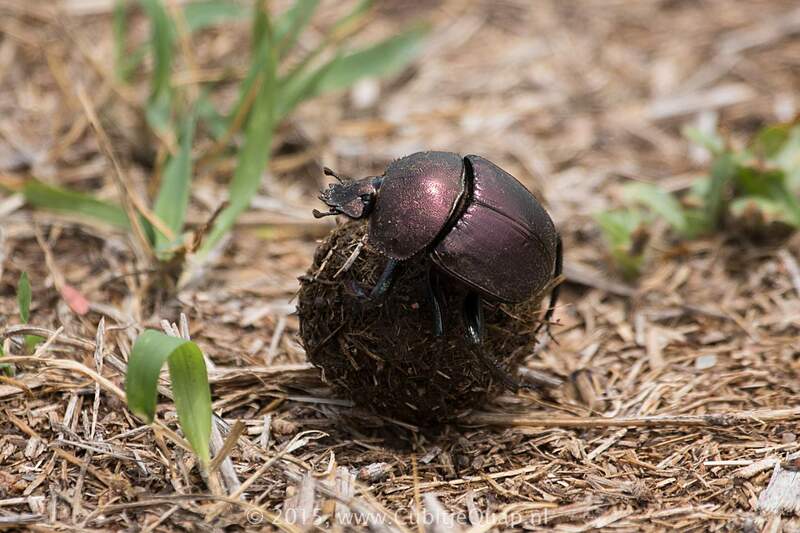 Some species construct a dung ball which is rolled away and burried with eggs inside; others breed in dung heap or soil beneath it. 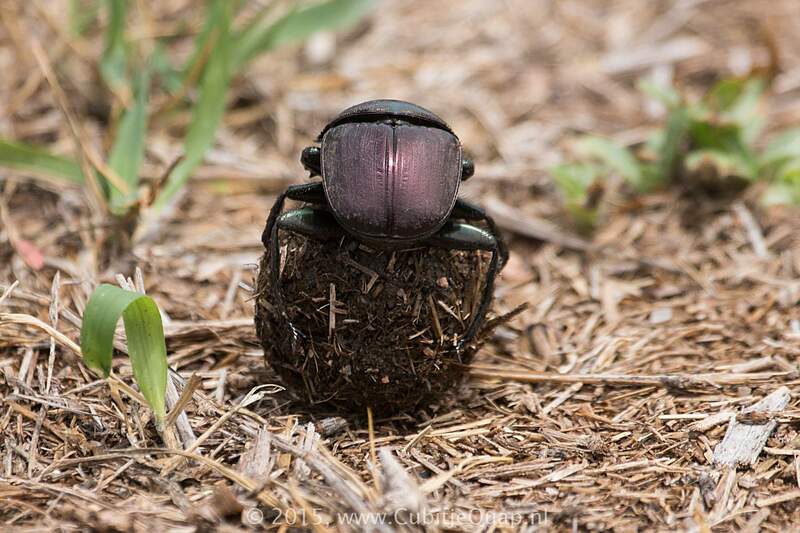 Dung beetles are found in all continents except Antarctica. They play a remarkable role in agriculture. 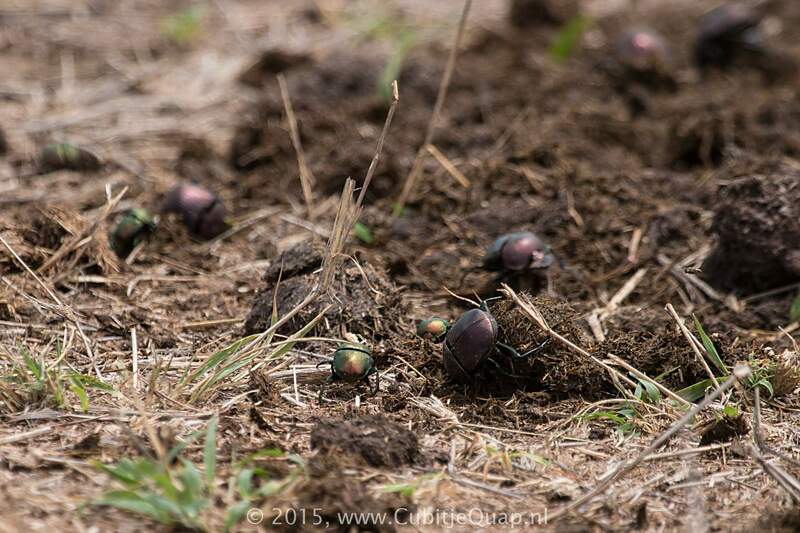 By burying and consuming dung, they improve nutrient recycling and soil structure. They also protect livestock, such as cattle, by removing the dung which, if left, could provide habitat for pests such as flies.